Excellent vacation. Staff is great. Ship is first class. Highly recommend for anyone. Food is very good. Chef uses local food from each port visited. The Seabourn Spirit is a wonderful small luxury ship with interesting fellow passengers and attentive personalized service. The ship is completely up-to-date except for the lack of balconies. Cuisine is excellent. Entertainment is livelier than most luxury ships with rock music available every night and classical music also on many nights. The ship never seems crowded. As for our Adriatic gems cruise, all of the ports were very appealing and most were seldom visited so it was a delightful cruise of discovery. The ships excursions included a nice mix including many active options like bicycling and kayaking but with one caveat, if you like to take shore excursions organized by the ship, they all start early in the morning. Big rooms. Great service. Nice space but older ship. Good food. visited many islands. Enjoyed the cruise. Need better info of the islands ahead of time. Also would did not have diving information. I've been on another LARGE cruise and this is just the perfect size. The food and service were beyond compare due to the smaller number of guests on board. Everyone was especially friendly and accommodated every need. The ride was virtually flawless, and our room was clean and very spacious. We have taken other cruises, but this was so special, everything was first class! No cramped stateroom and a huge bathroom when compared to others. We couldn't wished for a more gracious staff! I booked this cruise for our anniversary ( I wanted it to be memorable not just another vacation). This cruise did not dissappoint!!! Condition of ship was initially a diasater. Just came out of dry dock and was dirty inside and out. Really took away from our thoughts of being a really special deal! Trip got better but condition of boat was still poor at best. 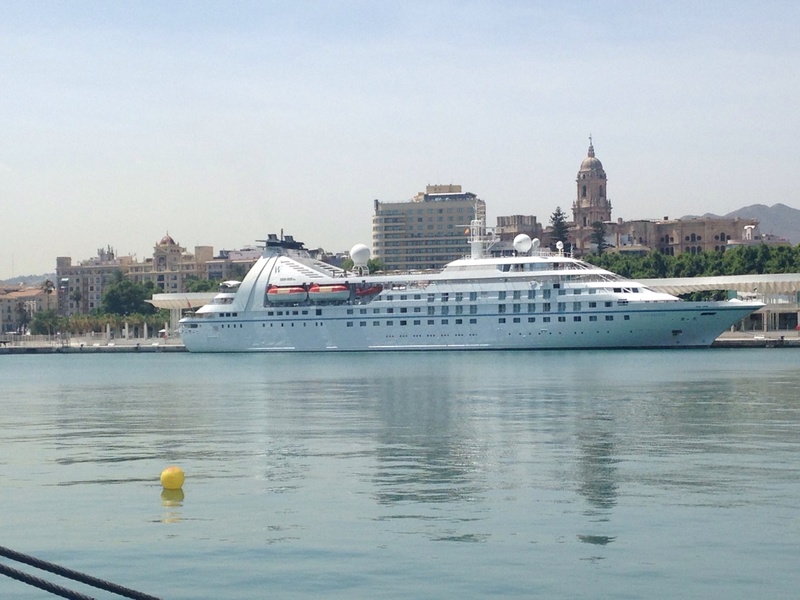 We were so pleased with our cruise on the Seabourn Spirit. The small size of the ship (202 passengers) made it so easy to find our way around the ship as well as get to know the other passengers and the crew. The ship was in lovely condition as well. And our stateroom was quite generous and comfortable. What a great cruise. You were \"pampered to death\". For dining they had about six tables hosted by ships officers or management. I was put into a group that different people were invited to one of these tables each night. Made for an intimate dining session with different people each night. Lots of fun. Lecturers were very good and talked about interesting subjects. As an example one lecturer had about eight sessions concerning space\, stars\, planets black holes\, etc. He then had a star gazing session on several nights at 11:00PM. Being on a small ship enabled you to socialize with a wide variety of people. The food and selection was exceptional. You could get just about anything your hearts desired. 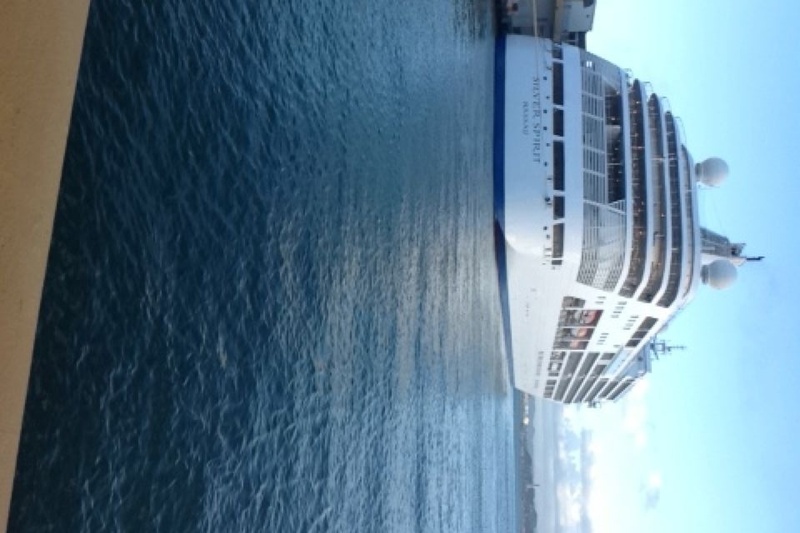 Highly recommend a cruise on with Seabourn. Excellent service\, great food\, very attentive staff. Well I have to say that we enjoyed maybe 70 Percent of the cruise. The staff made most of that percentage. They are friendly and do their best to accommodate. The only problem with the staff is that they are overworked and become distracted because of it, which does reflect the quality of service. If you sit back and watch them, they run around with the heads cut off to get things done (not their fault, they just seem to be spread thin). The entertainment was fair at best, and the entertainers were third rate and you may really have to force yourself not to get up during a show. Meals were excellent, along with great room service. The only complaint we may have with the food was the variety, but the quality was definitely excellent. We did encounter a problem with a 3 couple group from Germany. They were very rude and pretty much out spoken about there hatred for Americans. At one point at a dinner one of the men from the group flipped my wife the bird twice. Yep you heard it right, not once, but twice. We informed the dining staff about it and they did little about it has he continued through out the night acting like a jerk. On the last day one of the men slapped my wifes hand away while she was taking a honeymooning picture. I obviously was furious and instead of ending up in a Greek jail we decided to call security since the incident was witnessed. Security did absolutely nothing and gave us an address for the Police station in Athens to make a complaint. My wife and I are avid cruisers and will obviously not sail them again. We found it to be more hype then truth about the "undefined luxury" and the cruise line should really be taken out of the 5 star categories. We are also a very fun loving couple and it seemed that most of the guests were too up tight and stuffy for our liking. We also did not find the Cruise Line to be as accommodating as published. We would recommend Silver Seas or the Star Clippers lines if you want luxury with genuinely nice people and great service. 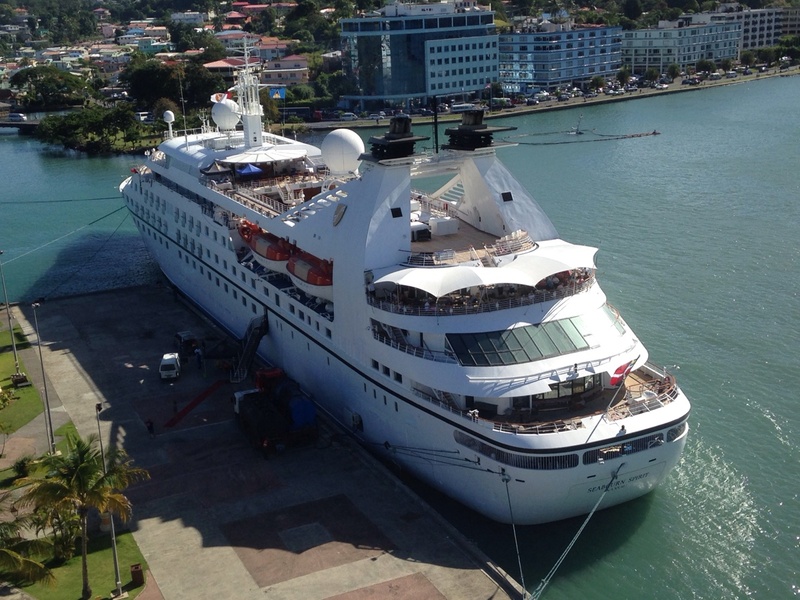 We have cruised on the "Spirit" the last two Dec./Jan Holiday sailings. Over the years many we have been on 28-30 cruises, from 3 -15 days. The Spirit is small, about 208 guests BUT one if not the best lines ever. The food is 5 stars and the staff rate 6 stars.Our last Cruise Dec.22-Jan 03 out of the 208 guests, 185 have cruised with Seabourn before. We were all kidding, maybe next year all 208 will be former Seabourn guests. Try it once and you will hooked. Enjoy Fred & Myrna PS We are sailing "AGAIN" on the Spirit this December, join us. If you choose to follow Seabourn Spirit you will receive weekly email updates with the latest reviews, tips, and photos from Cruiseline.com members about Seabourn Spirit.